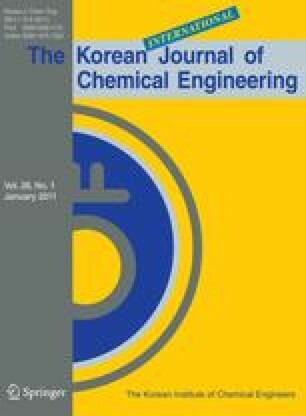 A short electrical mobility spectrometer (EMS) for measuring aerosol size distribution has been developed and presented [Intra and Tippayawong, Korean J. Chem. Eng., 26, 1770, 2009]. In this work, further improvement of the short EMS into a fast-response, and high resolution instrument is presented. This was done by (i) improvement in particle charging, (ii) utilization of faster flow rate, and (iii) adoption of higher number of electrode rings. The so-called “long” EMS consists of three main parts: a particle charger, a long multi-channel size classifier column, and a multichannel electrometer. Performance of the long EMS was preliminarily tested using polydisperse, carbonaceous aerosol particles generated by a diffusion flame. Preliminary test results showed that the long EMS performed comparatively well, and gave faster response and higher resolution than the short EMS. It was a valuable aerosol instrument available for measuring size distribution of aerosol particles.